Are you looking for a work vehicle that has plenty of storage space? If you are, the new lineup of 2018 Ram Promaster at Ewald Chrysler Jeep Dodge Ram of Oconomowoc is what you are looking for. When Ram designed these vehicle they thought about different needs that workers in Oconomowoc might have and decided that a large van would be useful. The 2018 Promaster were built to be hardworking for people who needs more storage than a truck can provide. The engineers at Ram have spent countless hours making sure that everything is up to par. The 2018 Promaster is available in 4 different trims, each completely unique and intended to meet different needs. This allows you to find the perfect vehicle for specialty jobs that can sometimes be hard to find a work vehicle for. See why Ram is so well liked and pick up your 2018 Ram Promaster today. You will wonder how you ever got work done without it. 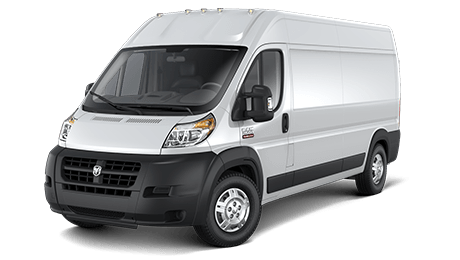 The 2018 Ram Promaster is capable of handling all of the tasks you need to accomplish at your job, whether it is transporting people, storing lots of tools, or something more specific. 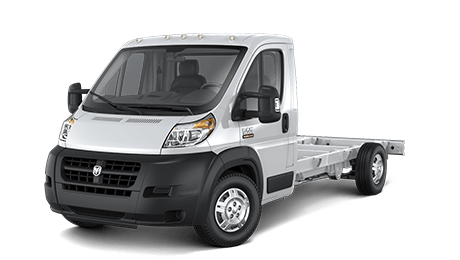 With a max payload up to 5,200 and max towing of 5,100 no job is too big for this van. This is the vehicle that you need if you are looking for something that work as hard as truck, but has more space. Ram has spent a lot of time making sure that there are plenty of upfits available, that way you can perfectly customize your 2018 Promaster exactly the way that you want. They also spent a lot of time making sure that the right technology is available as well. With Uconnect, steering wheel controls, navigation, and many other tech options, you can stay informed and safe on the road. The new 2018 Ram Promaster at Ewald Chrysler Jeep Dodge Ram near Union has everything you need. You will be riding in one of the most versatile and useful vehicles on the market. With three different options available for what kind of engine you have, there is a wide range of performance. Each engine is carefully crafted by Ram and is chock full of power and torque. You will be able to handle any load or terrain that you come across. The gas mileage is also good and will make sure that you are able to get to where you need to go. Whether you are driving around Oconomowoc or you go all the way to Union, you will enjoy every mile. The 2018 Ram Promaster is ready for whatever you throw at it. The Promaster wants to show you just how capable it is. 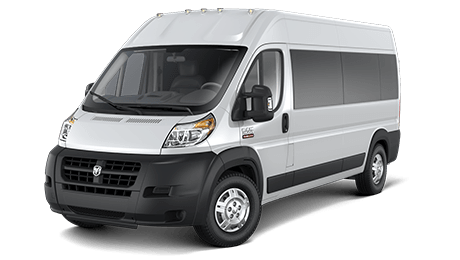 The 2018 Ram Promaster is a workhorse that knows how to work hard and impress everyone who sees it. You will feel a sense of pride whenever you take this beauty around town. Even though the Promaster looks nice, it isn't afraid to get dirty when it's working hard. If you are looking for a solid and reliable vehicle, turn to Ram because they are have made sure that every part of their vehicles are top notch and will not leave you stranded in the middle of nowhere because of a breakdown. Take a ride in the 2018 Promaster and feel the difference that makes Ram stand out. Find out which 2018 Ram Promaster is the one you want. This is a chance you do not want to miss.